Some things are just better together: SHRM-Atlanta and SHRM membership are the perfect combination. SHRM-Atlanta and SHRM are two separate but connected organizations – each with their own membership and unique benefits. Out of more than 575 affiliated SHRM chapters within the United States, SHRM-Atlanta is one of the largest, with over 2,000 Greater Atlanta members! SHRM is the worlds’ largest HR professional society, representing 285,000 members in more than 165 countries. Becoming a member of both organizations is an investment in you and your profession: you’ll receive the most relevant local AND national information available for professionals in human resources. SHRM-Atlanta and SHRM fully encourage you to join both and enjoy the unique benefits of each, because we know we’re better together. One of the biggest advantages of joining your local SHRM-Atlanta chapter is that it provides you with opportunities to build relationships and connect with a local community of other HR professionals. This ability to share ideas, challenges and best-practices, as well as make deeper connections throughout Atlanta, is one of the top reasons many members join our local chapter. From conferences to in-depth workshops, we offer high-quality educational programs for all career levels – each of which offer recertification credit for both SHRM and HRCI certifications – in locations across the Atlanta metro area. So, whether you live OTP or in the heart of Midtown, we’re bound to offer something close to your home or office and relevant to where you are in your career. SHRM-Atlanta is an organization that is volunteer led with staff collaboration and support. If you want to learn or improve your leadership abilities, or if there are new skills you want to develop that could help in your career, SHRM-Atlanta provides ample opportunity for members to take on leadership roles within SHRM-Atlanta’s Volunteer Leadership Team. SHRM-Atlanta members can be part of “Team SHRM-Atlanta” as you share your time and talent while giving back to our local community. Volunteer alongside your HR peers with skills-based volunteer opportunities with local charities, such as Junior Achievement, 21st Century Leaders, VETs initiatives, and more. You work hard and you deserve to be celebrated for it! SHRM-Atlanta works to highlight and celebrate local excellence in Human Resources by connecting members to award and recognition opportunities, including SHRM-Atlanta’s IMPACT Awards and more, and providing you the ability to be celebrated among Atlanta's best and brightest in HR. Learn from a variety of thought leaders, including top executives from businesses in Atlanta, and connect with local Resource Partners that can provide you with the latest and greatest information about HR-related product and service offerings that will help you and your business thrive. SHRM’s data and research will help you advance by supporting you as an HR professional and providing you with information to help improve your HR department and ensure your organization gets the business outcomes it needs. SHRM provides research, white papers, news, analysis, tools, and other resources for HR professionals in areas such as Behavioral Competencies, Benefits, Compensation, Diversity & Inclusion, Employee Relations, Global HR, Labor Relations, Organizational & Employee Development, Risk Management, Talent Acquisition and Technology. SHRM, in partnership with Willis Towers Watson, delivers timely salary data, from entry-level to executive. More than 1,500 job titles and online reports are offered and can be customized based on industry, organization size, geography and more. SHRM’s certified HR Knowledge Advisors provide personalized assistance with your specific HR questions. Whether you need clarification on new regulations or have general questions on topics ranging from FMLA or FLSA updates to COBRA and I-9 compliance, HR Knowledge Advisors can help. Member2Member Solutions is a way to contribute to the HR profession through sharing timely, relevant content incorporating real-time situations and scenarios. And if you are SHRM-certified, your submission may be eligible for PDCs. What is the connection between SHRM-Atlanta and SHRM? 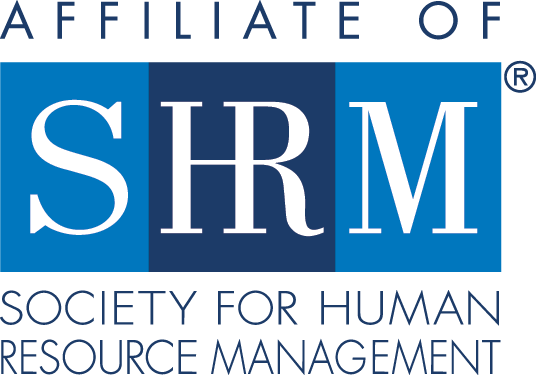 SHRM-Atlanta is independently operated and is one of the largest single-city chapter affiliates of SHRM (the Society for Human Resource Management). If I am a member of SHRM or SHRM-Atlanta, am I automatically a member of both? No. SHRM membership is separate from SHRM-Atlanta membership and dues for SHRM-Atlanta are not included with your national membership. Am I required to be a member of SHRM to join SHRM-Atlanta? No, we do not require you to be part of SHRM in order to join SHRM-Atlanta. How much does it cost to join as a member? To view SHRM-Atlanta membership rates, click here. To view information about SHRM membership, click here. Can I pay my dues for SHRM-Atlanta and SHRM at the same time? No, each organization has a separate dues structure and payment portal. However, if you are a member of SHRM-Atlanta, you are eligible for a $15 discount on your first year of SHRM membership if you designate yourself as a “member of a SHRM affiliated chapter” when you join SHRM. Please remember to choose SHRM-Atlanta as your local chapter! If I am a member of SHRM, am I a member of SHRM-Atlanta? When I join SHRM-Atlanta, should I notify SHRM? Yes! Local chapters like SHRM-Atlanta are required to have a certain number of SHRM members to be a chapter in good standing and SHRM provides financial support for each chapter member that is also a SHRM member. Please help both SHRM and SHRM-Atlanta records up to date by including your SHRM ID in your SHRM-Atlanta member profile, and by designating SHRM-Atlanta as your local chapter with SHRM (Click here for instructions on how to let SHRM know you are a SHRM-Atlanta member).